A Billion Dollar Real Madrid Island in Arab Emirates! The Real Madrid Resort Island in the United Arab Emirates will cost a billion dollars! An amount of billion dollars is to be spent on the construction titled the "Real Madrid’s Arab Island". 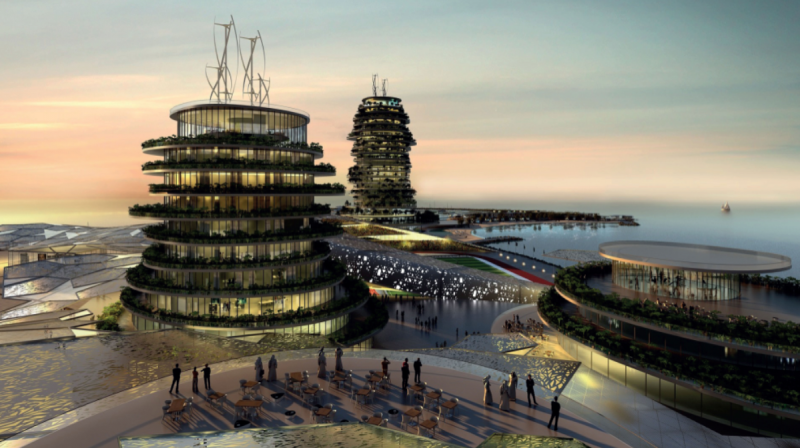 The island will be a mega size leisure centre in the emirate called Ras Al Khaimah. It will probably open in 2015 on an artificial island called Al Marjan. The 50 hectare site named "Real Madrid Resort Island" will include a theme park, a luxury hotel, 400 apartments, a sports marina, a museum of the club and the first stadium in the world open to the sea. The billion dollar project is supported by the Ras Al Khaimah Government and it is just 45 minutes from Dubai airport and about six hours from Europe! The presentation took place in Madrid on Thursday and among the attendees were the club chairman Florentino Pérez, manager José Mourinho and also some top players. Pérez said that in football, frontiers should not exist, and it was an honour to link the Real Madrid brand to the Arab Emirates! where do they get that kind of money ?? ?